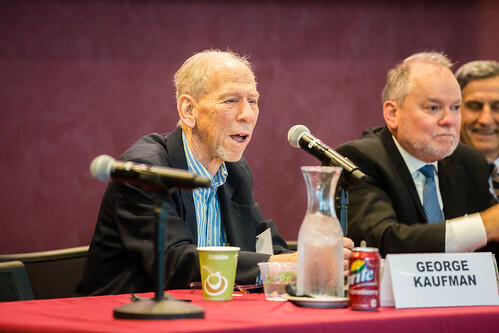 More than 150 people attended the two-day conference to hear internationally recognized economists discuss developments in financial economics over the past 50 years and the implications for public policy. All the papers and commentaries will be published in a hardcopy trade volume. The speakers, who all worked with Professor George Kaufman during his years of scholarly research, also reflected on Professor Kaufman's scholarly contributions. Sponsored by the Center for Financial and Policy Studies at Loyola's Quinlan School of Business and the Federal Reserve Bank of Chicago. View conference photos in the gallery below or on Quinlan's Flickr page. 1:30 p.m. to 6:45 p.m.